Looking for a way to help drive measurable business results within your organization? Look no further than your senior leadership team’s top priorities. 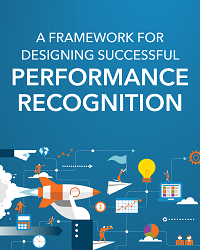 How to Drive Results with Performance Recognition presents a framework for building programs that help get managers and employees on the same page to achieve high-priority business objectives. Performance recognition is the process of influencing discretionary effort and behavior with recognition and rewards to improve defined business outcomes. Unlike conventional employee recognition programs that focus on values or length of service, performance recognition targets specific behaviors associated with high-priority initiatives for change. Recognizing and rewarding behavior change: Where is your organization trying to influence the discretionary effort of employees to achieve important business objectives? Improving productivity, enhancing workplace safety, accelerating the digitization of business process—these are just a few examples of how organizations are using performance recognition to provide the contextual feedback and incentive that employees want. 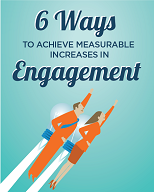 For more information: Our engagement experts here at Engage2Excel can help you design, implement and manage performance recognition programs that drive measurable outcomes. To schedule a discovery call, click here.